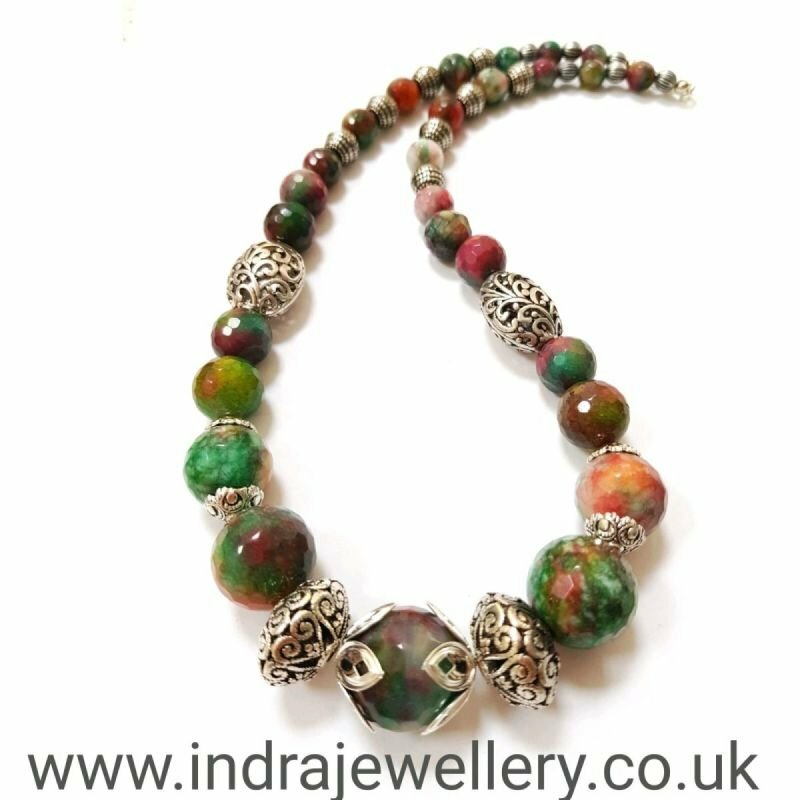 This is a really pretty necklace, The beads are genuine jade which are a mix of green and red tones, the beads are faceted which gives this necklace a sparkly and unique finish! I have added silver spacer beads and a lobster clasp. The necklace measures 19"
Jade creates harmony in all relationships and is used to stimulate ideas and makes them less complex, it also attracts good luck and friendships.